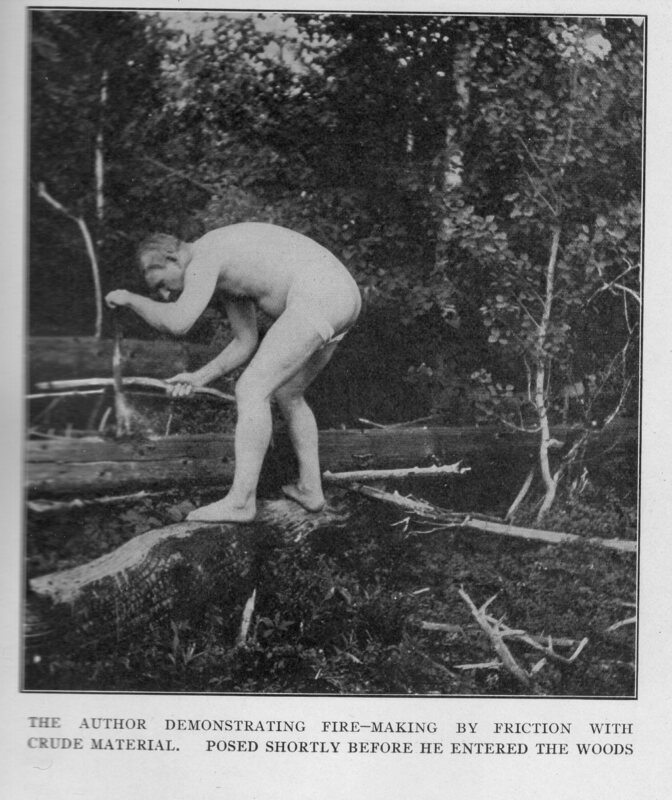 In August 1913 Joseph Knowles, a 45 year old former hunting guide, went alone, nearly naked, and without tools or supplies, into the woods of northern Maine. He emerged 61 days later, leaner and fitter, clad in a bearskin. The expedition was sponsored by the Boston Globe. 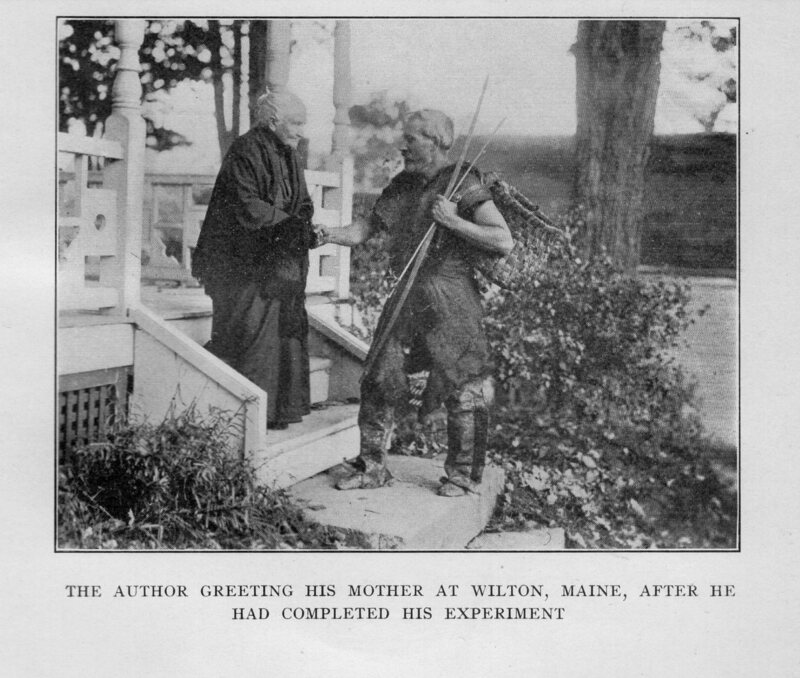 Knowles wrote accounts of his stay on birchbark, and left them in caches for a reporter. The stories proved very popular, the circulation of the Globe reportedly rose by 30,000, and a massive crowd greeted Knowles on his return to Boston. 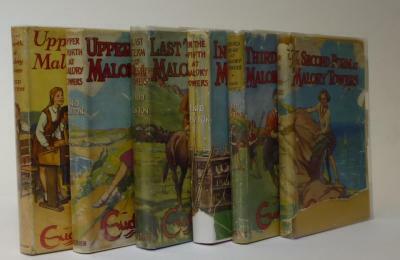 He later published a full account of his adventure Alone in the wilderness – which was a best seller on both sides of the Atlantic. He also featured in two motion pictures, which sadly don’t seem to have survived. 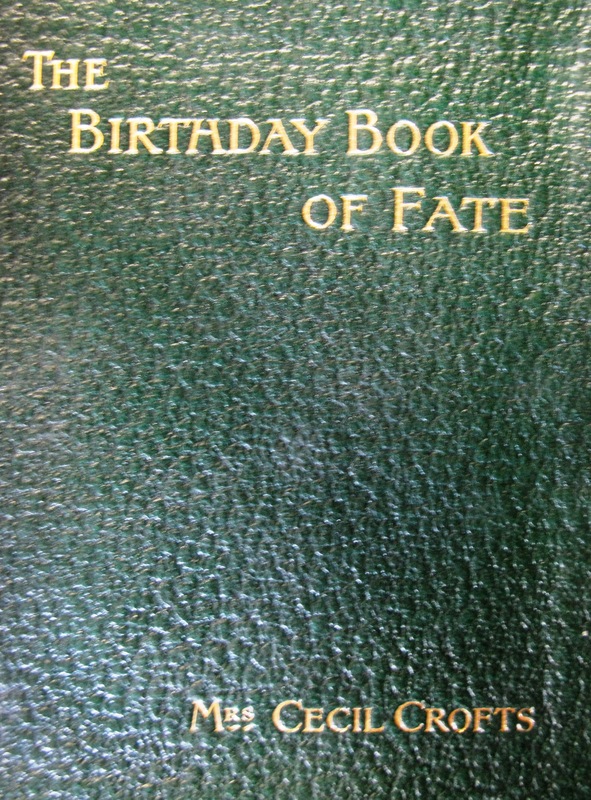 The book is a curious mixture of action and reflection. There are detailed descriptions of him trapping and killing animals with his bare hands, and also long passages on the joys of outdoor living, and the mental agonies that he suffered during his stay. There is a good deal in the book about the government’s attitude to the wilderness, particularly the game laws. The State authorities had refused to issue him with a hunting permit for the expedition, and fined him $205 on his return for taking game out of season. 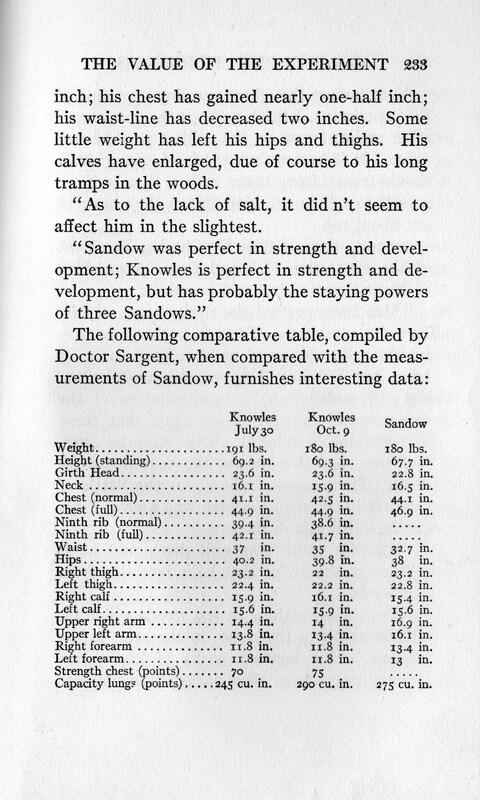 Knowles was given a full medical before and after his expedition, and the results are shown below, comparing him to the famous strongman Eugen Sandow, who was featured in this blog last year. Knowles lost 11 pounds (about 5 kilos) in weight, and increased his lung capacity by almost 20%. According to his doctor, although he could not match Sandow’s strength, he “had the staying powers of three Sandows”. As with modern survival experts, there were many anxious to prove that Knowles was a fraud. 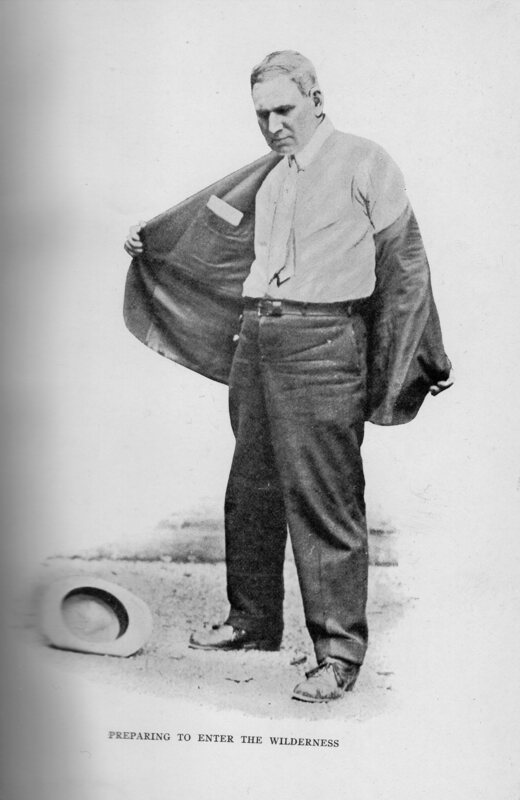 A rival newspaper, the Boston American, owned by William Randolph Hearst, claimed that he had access to a cabin and was provided with food and clothing. Knowles naturally denied the allegations, and proposed a second trip, where he would allow a dozen “representative men” to accompany and observe him. He also proposed the establishment of a colony of men and women interested in the outdoor movement. The colony would acquire thousands of acres of land, and open a College of Nature to provide training in woodcraft. Was Knowles a fake? 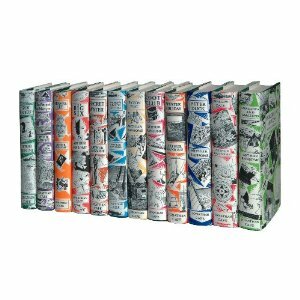 Some of the events in the book are not entirely convincing, but there is no doubt that many were inspired by his actions, and became interested in the outdoor life. 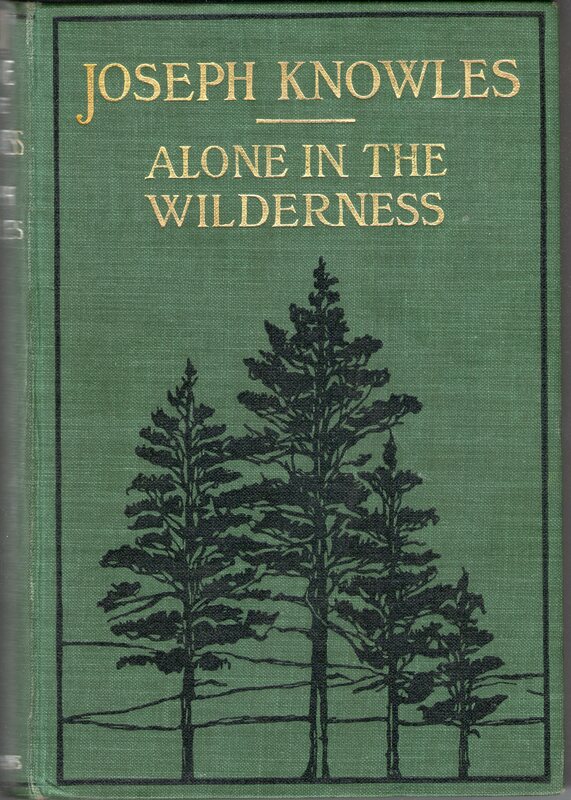 A modern reprint of Alone in the wilderness is available from all good booksellers, as is a recent biography of Knowles, Naked in the woods : Joseph Knowles and the legacy of frontier fakery by Jim Motavalli. One of the challenges of our job on the Tower Project is to find the Library of Congress subject heading that best expresses what a particular book is about. On the whole this is enjoyable and instructive. Some books make it easy, others require considerable pondering before that “mot juste” springs to mind. 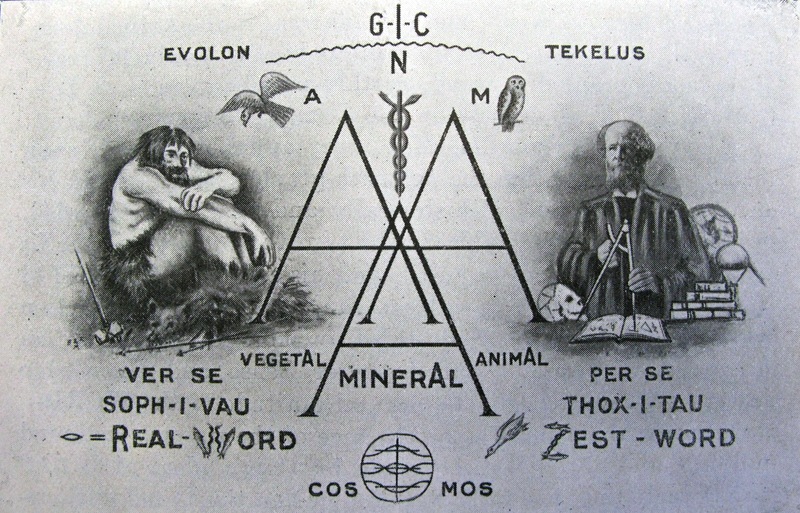 The Thox-Orient exposition of this polypantoglyphograph, to cognise the language of nature. By the time I’d worked my way through that paragraph I had a headache. I wish I could say that after grappling with Thomas Tyldesley of Bolton I could agree with Dr. Seuss, who said “I like nonsense; it wakes up the brain cells.” I’m afraid I had to do as the gravedigger in Hamlet advises his baffled companion, who is struggling with a riddle, to do: “Cudgel thy brains no more about it” and assign the best subject headings I could muster, and move on to more mundane, but blessedly comprehensible, works. 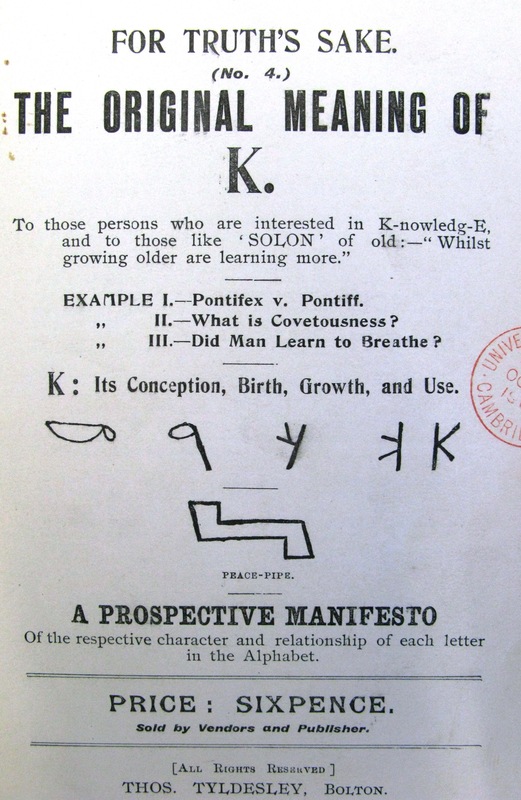 The original meaning of K … Classmark 1906.9.352. 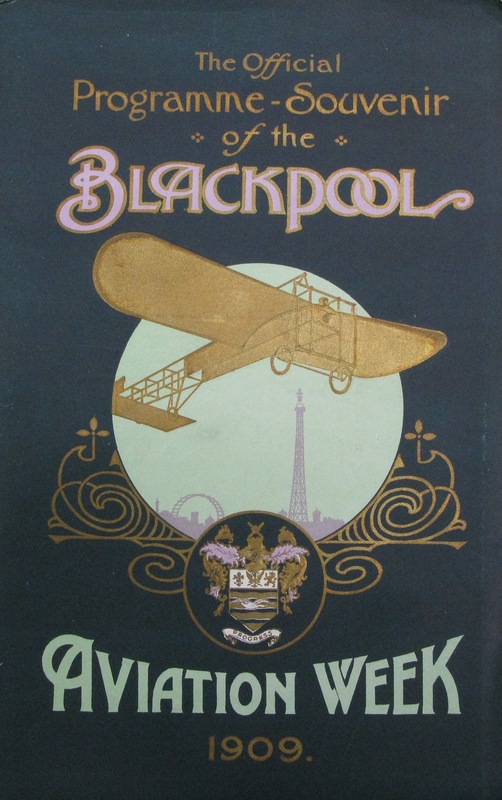 I recently came across the official programmes for Blackpool Aviation Week 1909 and 1910. The covers were beautiful and the amazing photographs inside reminded me of a cross between crazy birdman events and the red bull air races. Yet despite their dramatic appearance these events were both serious and important in UK aviation history . 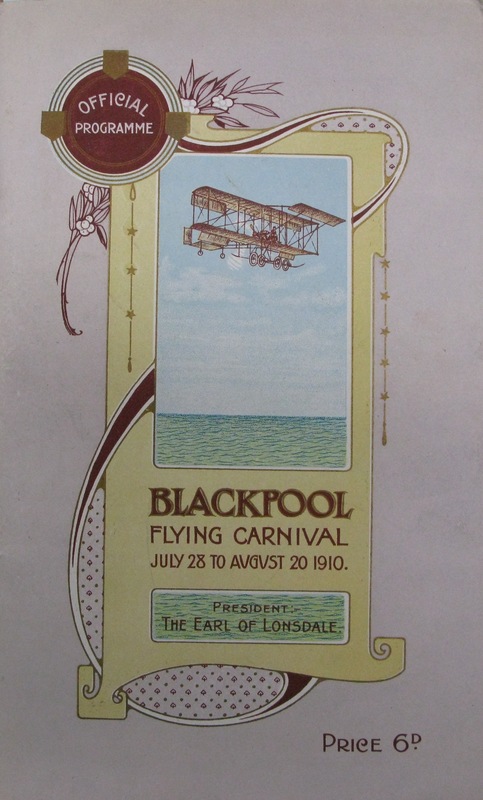 The 1909 Blackpool Aviation Week, suggested by Lord Northcliffe, proprietor of the Daily Mail and taken up by Blackpool Corporation, was the first public and ‘official’ air display in the UK. Doncaster had hoped to run a show concurrently but the ‘scarcity of prominent aviators’, like the fine gentlemen below, led to the Aero Club (now Royal Aero club) withdrawing its approval for the rival event. 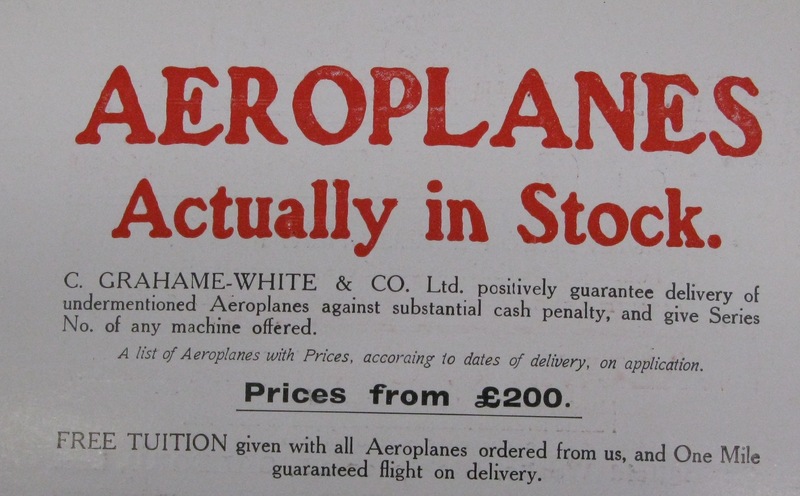 Blackpool’s show, following the rules of the Federation Aeronautical Internationale and being the sole event verified was now the place to be. The show was by all accounts a massive success, with over 200,000 paying spectators welcomed. Organisers rushed the grounds ready and booked out whole hotels to put up competing teams. 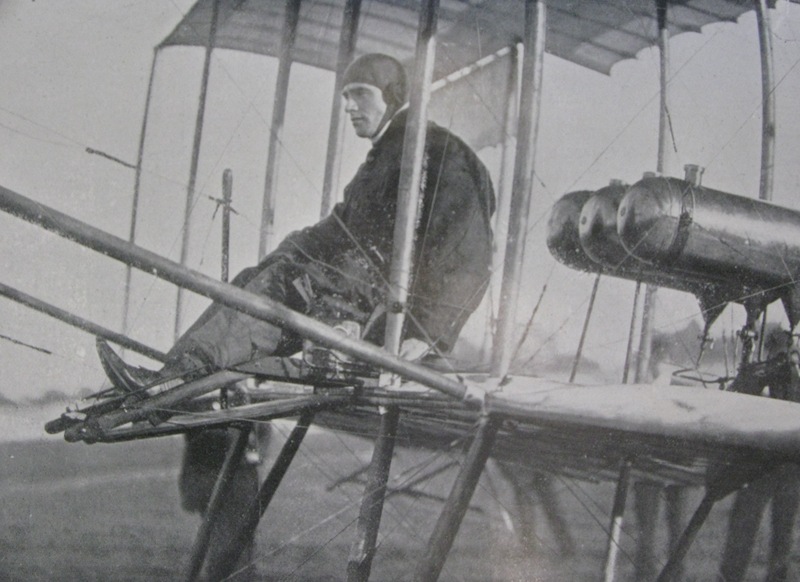 Prizes were funded by the Daily Mail and numerous local companies, and were issued to pilots of monoplanes, bi-planes and tri-planes for achievements in long distance, altitude, carrying of passengers, speed and slowness. 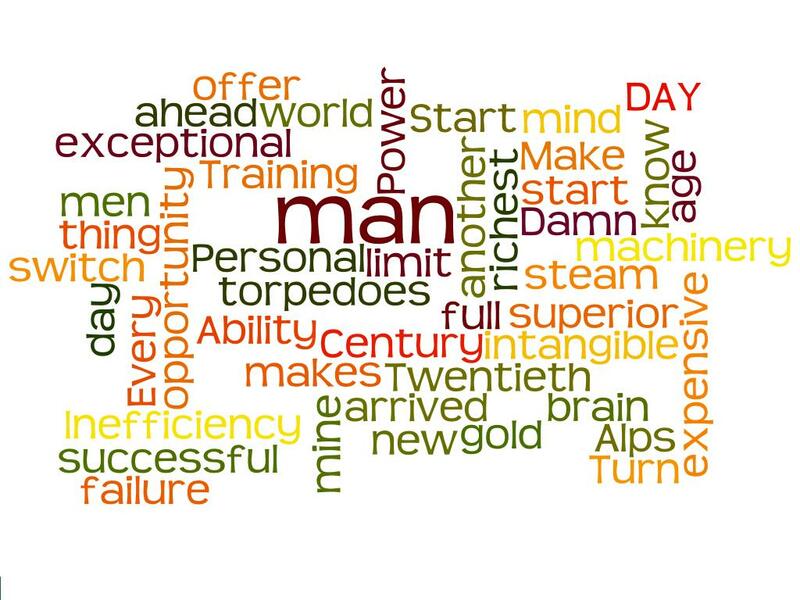 A signalling system was worked out for achievements but also for messages such as ‘bad start’, ‘record beaten’ or ‘machine has fallen, aviator unhurt’ nothing for ‘aviator hurt’ I noticed. Amongst the competitors was one of the biggest names in aviation at the time. 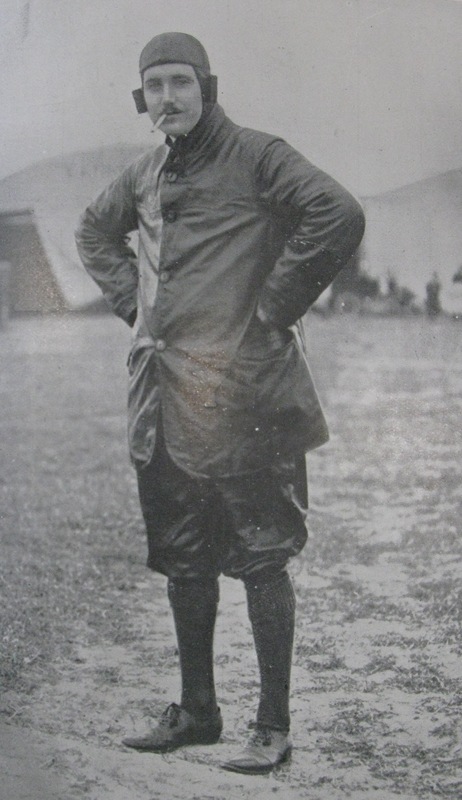 Sir Alliott Verdon-Roe, a Manchester man who claimed to be the first Englishman to make a powered flight (June 1908) attended. Though his attempt to be first to fly the course was scuppered by his machine failing to leave the ground and instead this glory was snatched up by Frenchman Henri Farman. 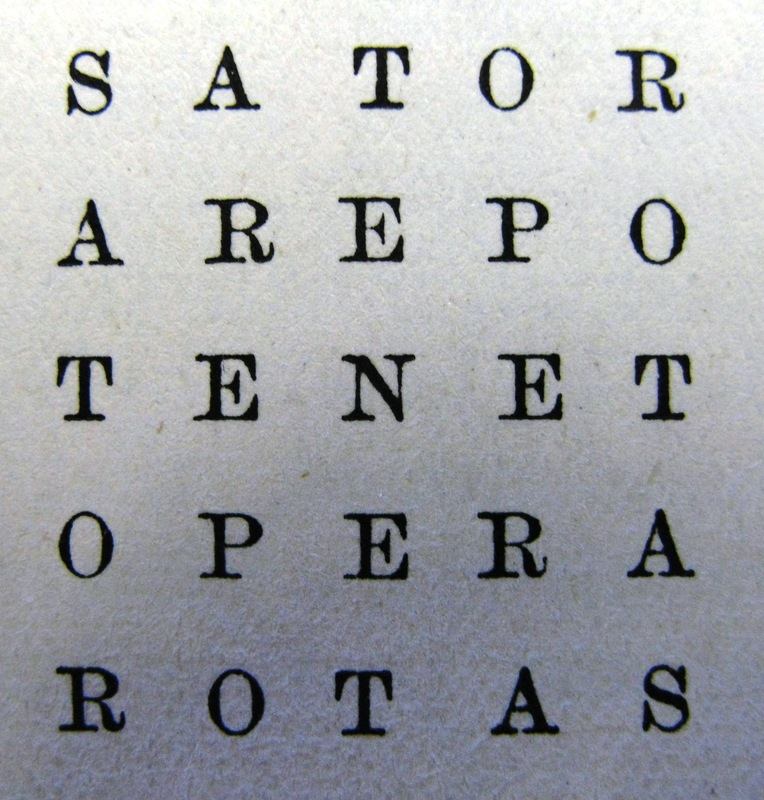 Other competitors included M.M. Rougier, Dufour, Defiers, Baratoux and more. 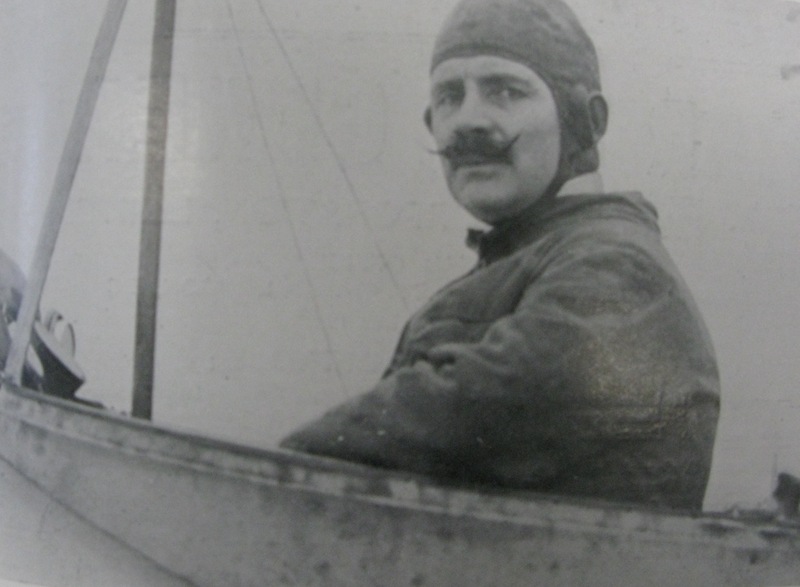 Click here for some great pictures of Sir Alliott Verdon-Roe at the aviation week. A second carnival was held in 1910. Rules were tightened: passing on the inside was not allowed, nor interfering with others flight courses, a great development I would have thought. Pilot’s certificates were also required by all competitors this time! 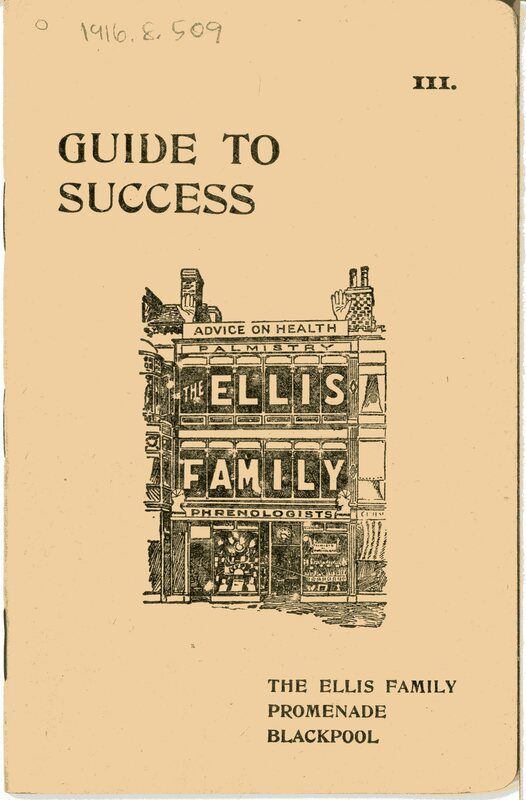 Obviously not a system firmly in place at this time, especially if amateur aviators were only learning to fly when they bought their first plane as the advert below suggests. In 1911 the competitions ended for the site had become a race course. During the 1st World War it housed a convalescence home for soldiers. Yet in 1919 it’s aviation history caught up with it as A.V. 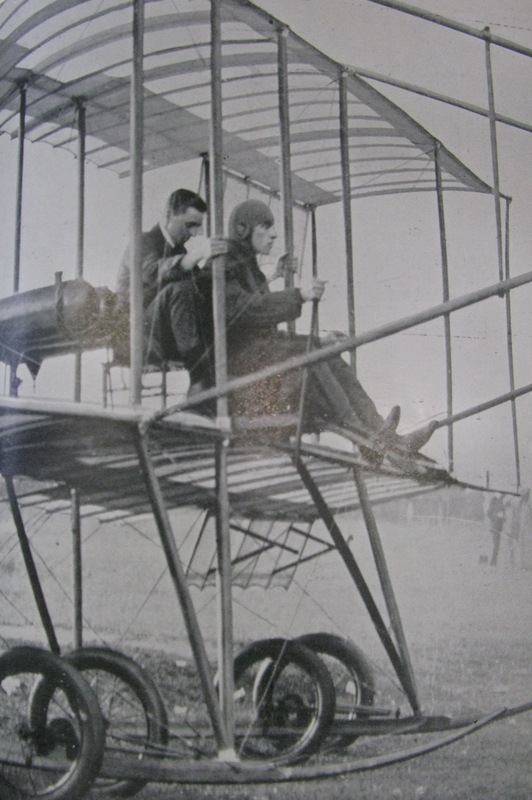 Roe’s company began to fly from it again and in 1927 the site was recommended for the Blackpool Municipal Aerodrome. It has since become Blackpool International. The annual air shows held there now are certainly smoother, as display teams such as the Red Arrows do their thing. Still, I don’t believe that our modern shows can detract from past events, which though appearing shambolic, were in a way even more spectacular for their technological achievements of the time. 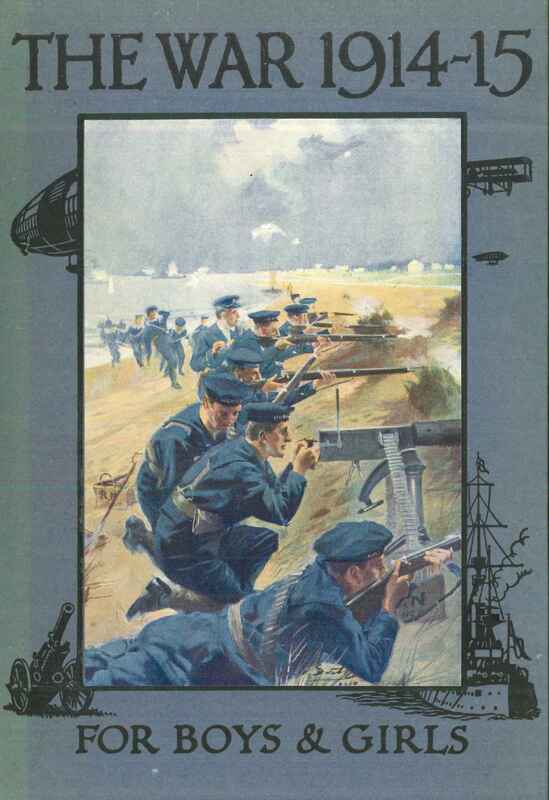 For movies of the 1909 show try the British Pathe.